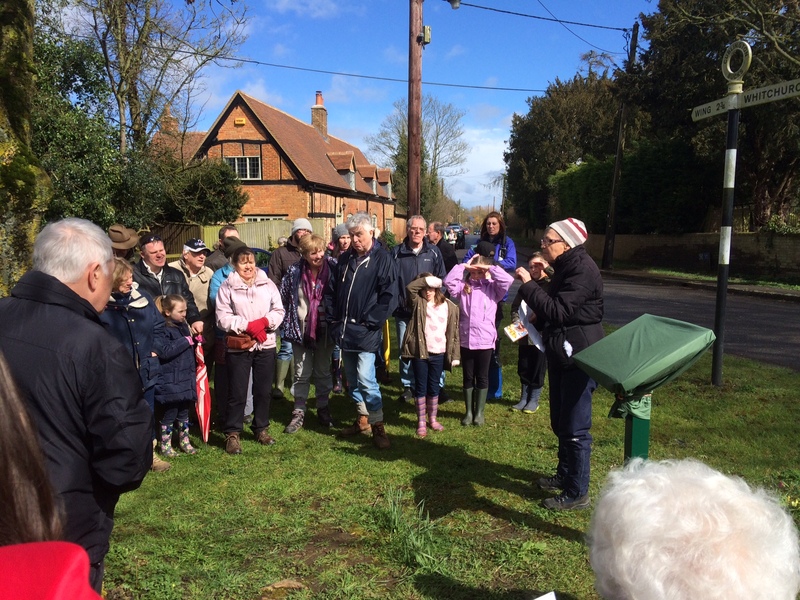 The inauguration of the new commemorative walk with lectern and map and took place on the Nob on Easter Sunday. Over 70 villagers, friends and relatives attended the opening ceremony led by Joan Waples and then walked the walk in brilliant sunshine before retiring to the Biggs Pavilion. It was indeed a fitting tribute to our sadly missed friend. Your memory will live on. Thanks to all those who provided the ample refreshments along with sandwiches, snacks and cakes.